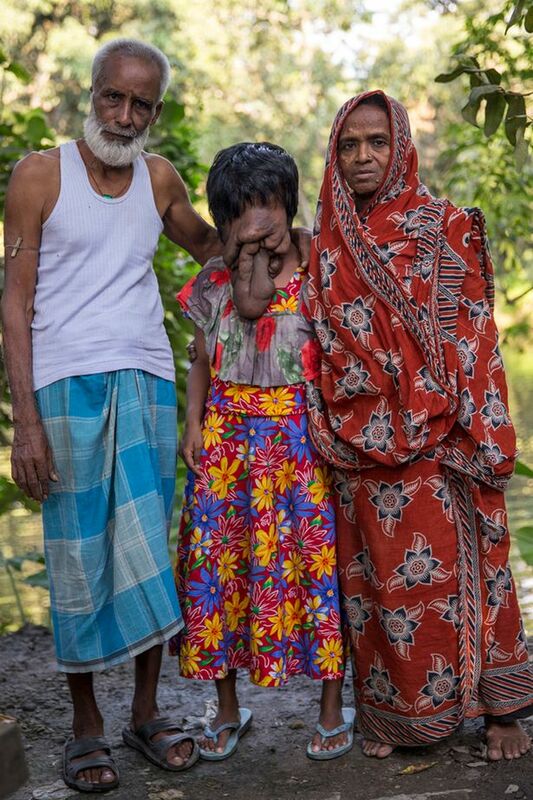 A young woman has lived her whole life with no face as doctors warned surgery could kill her - now they think it may be hiding a tumour. Khadija Khatoon, 21, has a mass of skin hanging from her forehead and no eyes or nose - just a small slit. Parents Rashid Mulla and Amina Bibi said they were initially unaware of their daughter's condition but became concerned after she failed to open her eyes despite being two months old. They said doctors told them, "there was nothing they could do" and any attempts to perform surgery could have killed her. Her condition worsened as her excess skin kept growing. Later as an adult Khadija made the same decision as her parents although admitted that her condition had prevented her from going to school and she didn't have any friends. She said: “My family is my only friend and I love them dearly. Born into a poor family in Kolkata, Eastern India, where the men bring in only £70 a month they were unable to take their daughter for further tests. Government officer Rupak Dutta took to Facebook to appeal for the public's help after he spotted Khadija walking down the street. 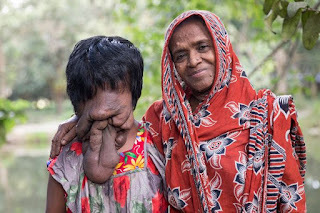 Dr Anirban Deep Banerjee said Khadija has Neurofibromatosis, a condition that makes sufferers prone to tumours, reports The Sun. He says: "There's a possibility she has a tumour inside her face which could be fatal. "If she's willing we could need to do a lot of tests to determine how successful surgery could be." A Crowdfunder page has been set up with the aim of raising £10,000 for Khadija’s medical bills.